A man has been arrested on suspicion of drugs offences after officers from Fleet’s Neighbourhood Policing Team carried out a warrant. Officers executed the warrant at an address in Albany Close, Fleet, this morning (Thursday 4 October). Suspected Class A and Class B drugs were found inside, as well as cash. A 29-year-old man from Fleet has been arrested on suspicion of possession of a controlled drug of Class A, possession with intent to supply a controlled drug of Class B and acquire/use/possess criminal property. 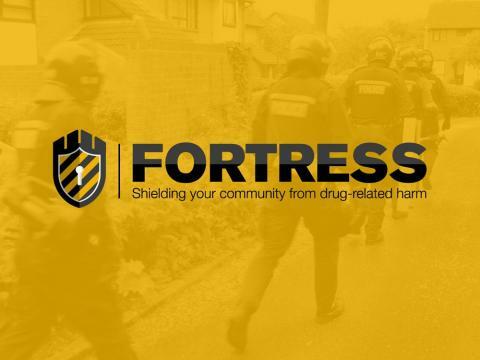 The warrant was carried out as part of Fortress, Hampshire Constabulary’s campaign to reduce the harm of drug-related violence. Inspector Olga Venner said: “We are committed to disrupting the supply of illegal drugs in Fleet. “We can only do this with the help of the community. “Any information you provide helps us build up a picture of what is really going on, which means we can take action. “If you have information about drug-related activity where you live, then please call us on 101.